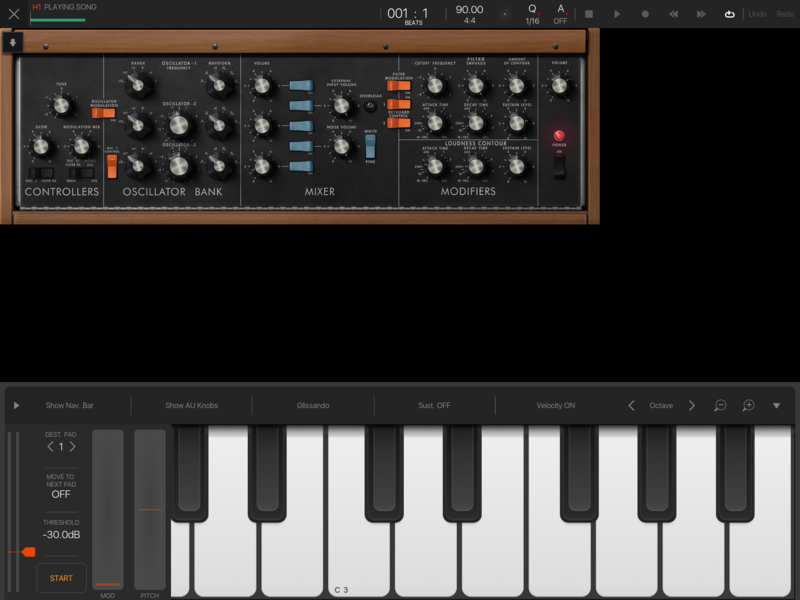 If you don't know what a Minimoog is, you are in the wrong game. I've had to increase the audio latency on my 12.9 2017 ipad pro from 128 to 256 to use that puppy, other wise its "Crackle city, Jerry...crackle...city". @JDB there have been threads about several auv3 plugins that don’t fill the screen and as such are fairly small especially for 12.9” iPad users (myself included). I don’t know if there have been any confirmations that this will be fixed or addressed in an upcoming update, but it has been brought up. My plan is to wait for 3.1 before making more posts about small things like this (haha). I thought it was down to the AU to be resizable, or is this one of those new nuisance UIs like the FAC stuff that only resize in the "offical" way ? I have 11.3 on two Mini 2s and an Air 2, been fine so far, fingers crossed haha. I’ve lost track from what I’ve read on this topic in other threads, but I also have read about how a small UI that doesn’t blow up full screen is favorable in an app like AUM which uses floating windows so you can have several different plugins in view. In that case I like the smallness of this plugin, but it would be cool to toggle it large in BM3. Model D sounds great, but unfortunately it’s pretty much unusable for me at the moment with BM3 (latest version, iPad Air 2). The knobs stop working and I often activate the wrong ones. Reboot didn’t help. Anyone else? I have this issue as well. Ironically in GarageBand (along with 5 instances of Zeeon) this doesn’t happen. I think Moog Model D is gonna be my next purchase. Bit annoyed that it only has 4 voice polyphony though against the Arp's 8. Any thoughts on this? Be aware that the Moog synths are CPU hogs. They always put sound quality and authenticity above efficiency and optimisation. Assuming you're right about the lower polyphony (I haven't checked) - I suspect this may also be due to performance. Yeah but I can't afford the real thing!!! Im pointing out that the software has more features, not that you should buy the hardware, nobody can tell the difference between soft and hardware anyway. I'd love to get something by Moog. Just because I don't have anything by them lol. I would love to own something by Moog that i could sell. I downloaded the App and I gotta say its good but not great. Compared to the Arp Oydessei I think its palette is limited but as I say its still good plus I have 3 instances of it running in BM3 with limited issues so far. Probably should have gone for the Moog Modular app instead lol. Its a Moog, overpriced and not particularly good, but has the name Moog. You don't really get more authentic than that.